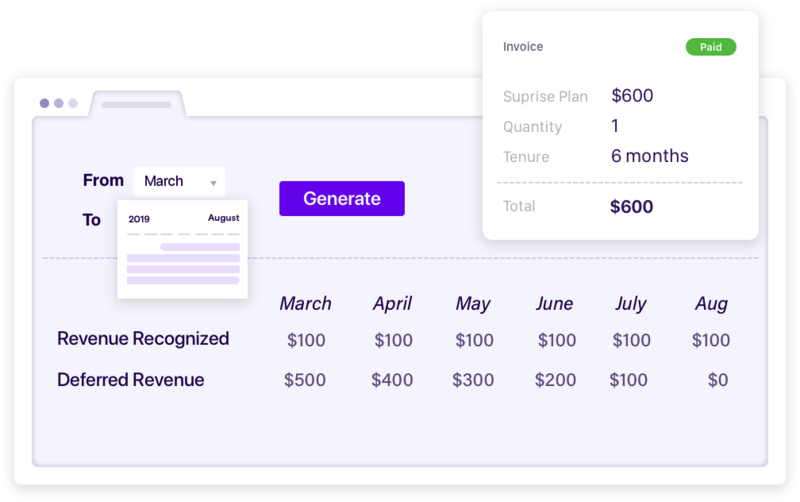 Maximize recurring revenue by handling your subscriptions on a robust billing platform, and delivering a delightful experience for your customers. 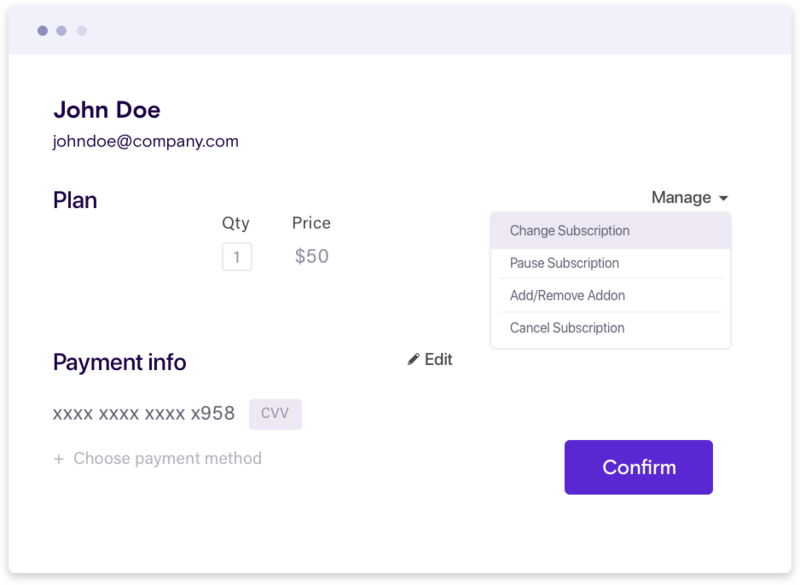 Right from providing a stellar checkout experience, creating subscriptions, generating orders to scheduling them in the fulfillment platform - We got you covered! Generate orders, schedule and sync them in fulfillment platforms without breaking a sweat. Have the flexibility to bill and ship when you want. 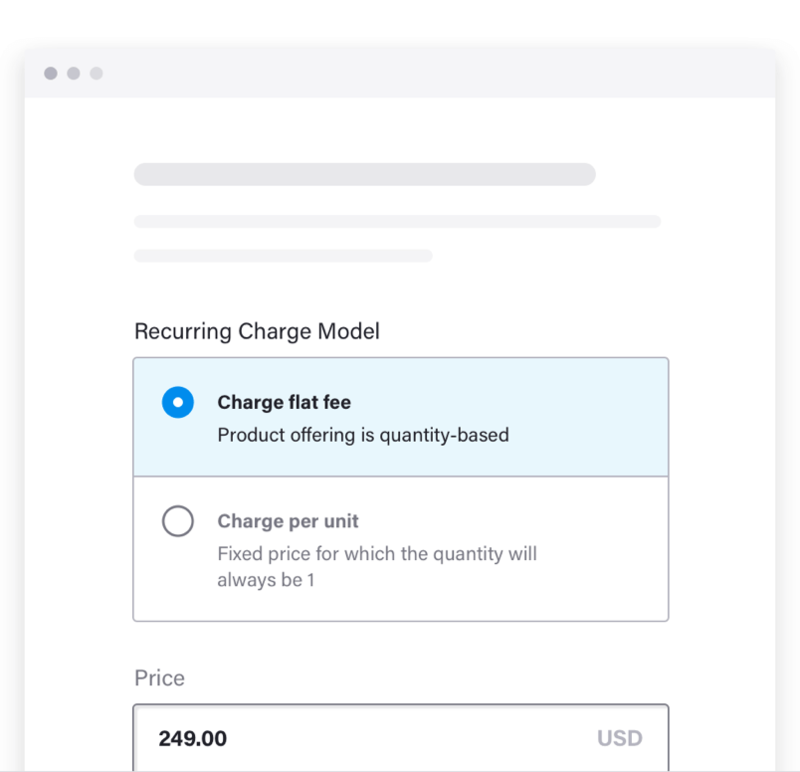 Use Chargebee's comprehensive suite of capabilities to manage subscription lifecycle of your customers from a single platform. Improve conversions with a super smooth checkout. Plug our zero-code PCI compliant checkout or build a customized one using our APIs. 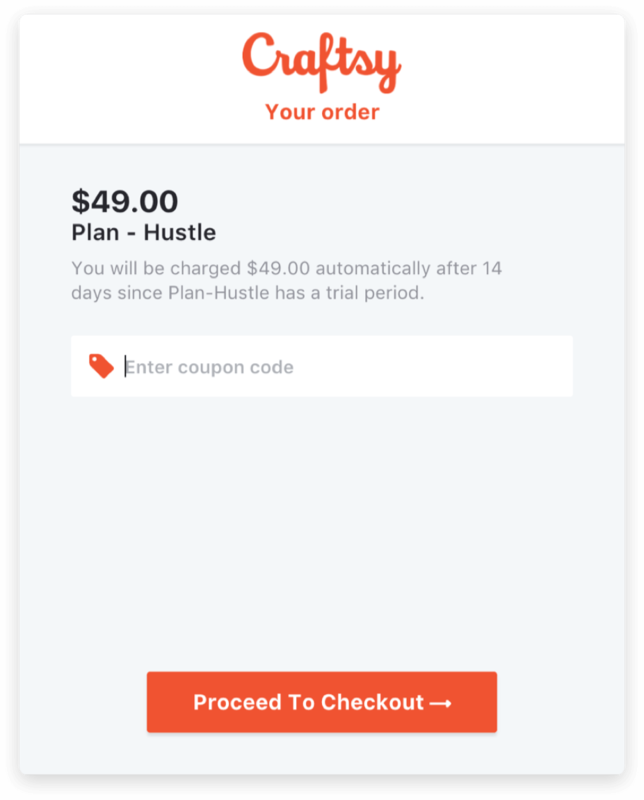 Pursue abandoned cart users with emails. 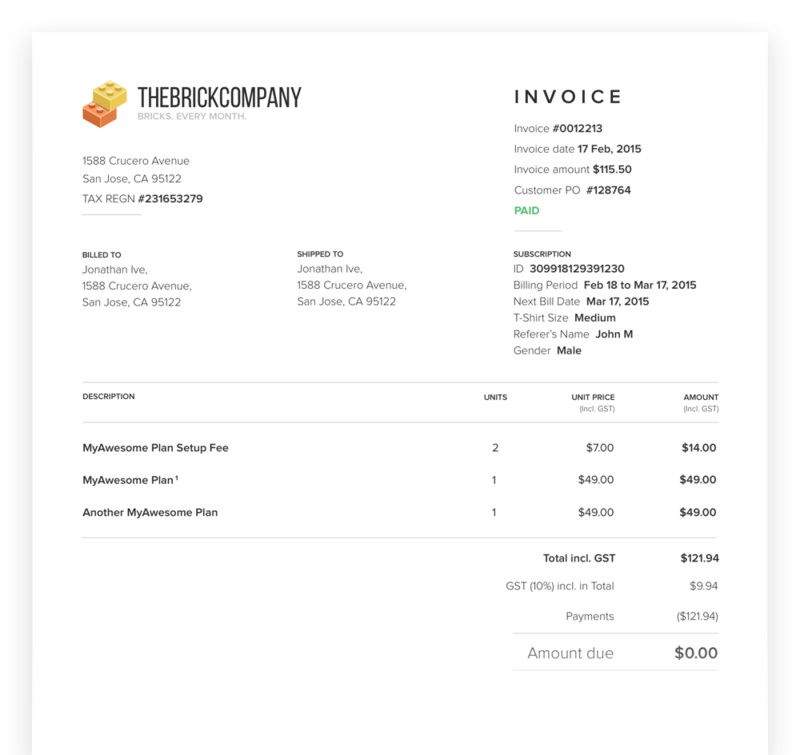 Send invoices that speak your brand. Handle taxes no matter where you ship. Recover failed payments by setting up payment retries that attempt payment collection based on users' payment history. Handle millions of e-commerce subscriptions without hiccups. Offer pause subscriptions to dodge cancellations. Cross-sell by managing recurring and one-time add-ons. Base your revenue recognition on the delivery of orders. Seamlessly merge invoices to the customer - into your accounting software and keep your records error-free. Some businesses learn it the hard way and some just get it right from the beginning. But the lesson sticks. Subscription eCommerce is all about experience! 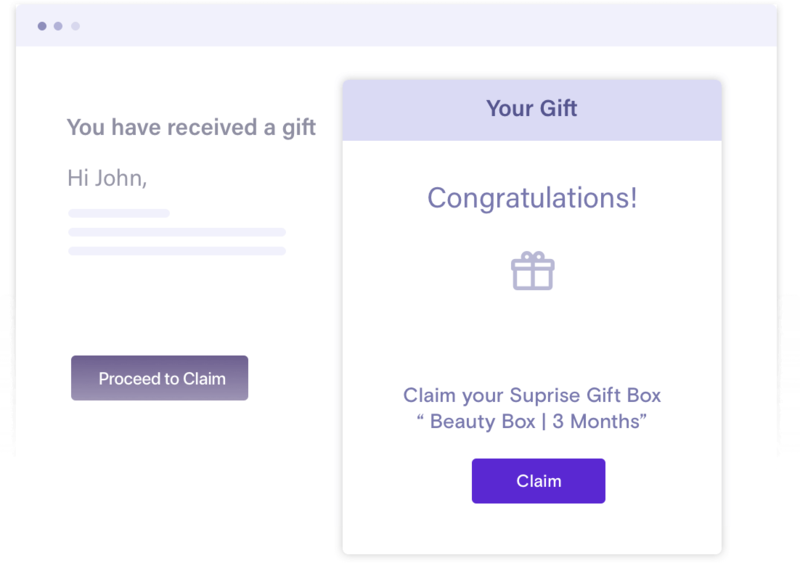 It's not 1999 anymore - Help your customers and prospects go beyond old school one-time gifts, by letting them gift the experience of your subscriptions. Offer fixed or percentage discounts, drive referrals with one-time offers and capture holiday crowds coupons valid for a limited period. Provide better customer experience by letting subscribers manage their subscriptions within the portal. Enable them to upgrade or buy more without reaching out to you. Send out tailored emails that squeeze through a customer’s lifecycle. Shoot for your target market in their language. Add a touch of branding. You are all set!